Contemporary Lynx: Cedar, you are a real street art connoisseur. You curate, research and explain the nuances in terminology applied in street art gender. You also follow street art scene from across the globe. 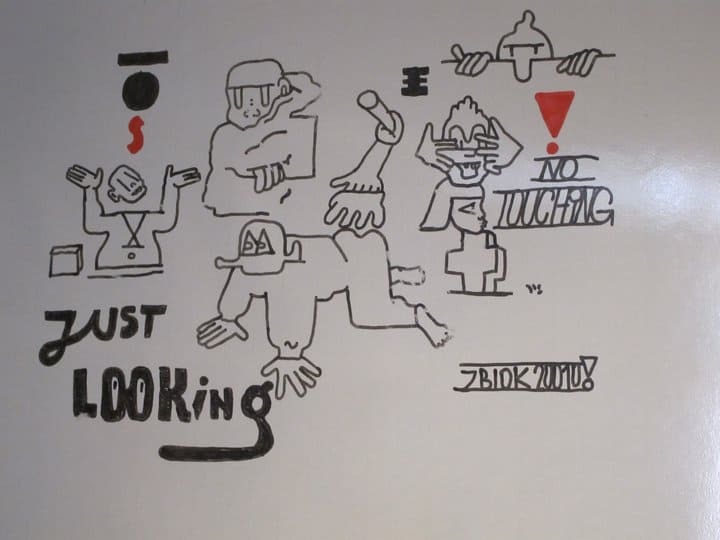 I also have heard that you collaborate with Polish street and visual artists like Zbiok . Therefore, I would like to talk to you about street art from Poland. How did you learn about Polish artists and whom else you like, collaborate and observe? Cedar: Yes – I am a fan of street art in Poland and have been a few times. I’ve mainly been to Wroclaw, a city I really love. I was first invited to Wroclaw to do a lecture for the BWA Gallery, this was a part of their out of 5th project. I think the Out of 5th has been a great success and its organisers, Zbiok and Asia Stembalska have done a great job in putting on a project which pushes boundries of art in public space and making use of the city. CL: Where does your interest in street art from countries with communist histories come from? Cedar: I’m interested in lots of art from countries with former communist histories, and street art is part of that. When I was a recent graduate I did some trips to Moscow organised by the British Council and also to Albania and a few times to Berlin. I usally learn about places by visting and speaking to people. Looking around. I think I was always taken with the different energy that was so obvious in the various former Eastern places I went. I always found the artists I speak to have very different intelligence than those I meet in London or other places. There is also a different relationship to traditional craft in the production of artworks. This is true in street art as well as other forms. CL: How would you compare street art from post-communist countries like Poland and the one from Western countries? Is there anything particular about East European street art scene? Cedar: I think the different history that the artists come out of effects the work in many interesting ways. Added to that their different persective on art history. I remember having a conversation with Zbiok about the artist Fernand Léger. I’ve also liked Léger, as a kind of Cubist precuer to Pop Art. But Zbiok’s reading of Léger was from a totally political perspective. So it made me think about the work in a totally different way. That’s just one example. CL: How does geographical location and urban architecture influence street art? Does urban planning, urban architecture, city surveillance and other factor have an impact on street artists or not necessarily? I am asking because Polish cities are full of massive concrete blocks of flats in modernist style. There are a lot of walls begging to get invaded by artists. Cedar: I think architecture and geographic location affect street art greatly. The best works, in my opinion react to their setting in some way. It’s also true that there are lots of massive walls in Poland that are great for making large scale murals- but recently I’ve been thinking a lot about over saturation of images in cities, and how street art can be part of that. 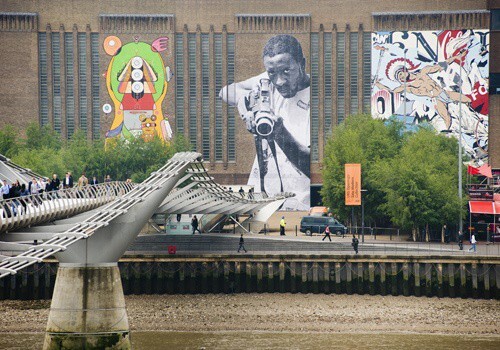 CL: Your exhibition at Tate Modern entitled Street Art (2008) was a groundbreaking event. You opened the doors of galleries to street artists. What are the consequences for street art, looking 5 years after this exhibition? Cedar: The Tate show was a good thing in that it brought a new audience to the museum who do not normally go there and also show cased artists to an audience who might not otherwise see them. Five or so years after the show, I’m still surprised people are still asking me about it! I think the whole scene has become a lot more popular since then and the audiences have become a lot more accepting of these types of projects. CL: In 2012 you curated an exhibition in Wroclaw Les Fleurs du Mal – New Art from London, inviting Olaf Brzeski and Antoni Wajda, next to artists such as Gavin Turk, Ben Eine and Sarah Baker. Are you planning to come back to Poland with another curatorial project? Cedar: The show BWA Wroclaw was a really good experience, I’d love to do some more projects in Poland, but there is nothing planned right now. Oh, there is one thing, as part of The Canals Project, a street art project in London, we will send an artist from the UK to Poland to paints some walls or do some sort of project. For information on this, people can go to our Face book or twitter page. CL: At the end, I would like to ask you to turn into a clairvoyant/a futurologist and tell us, what will happen next in street art? How will it evolve? What are your predictions? Particularly, looking at the Central and Eastern Europe. Cedar: I’m often asked about the future, and I always say I don’t know. What I guess is we’ll see more cross over between uncommissioned street art and commissioned works. I also guess the subject will become much more popular and more populist- with all the ramifications that being more populist brings. Conversely, the exact oppersite will probably happen at the same time, while one area of the culture is gets more hyped and mainstream, there will likely be people determined to stay out of the limelight and do projects which are impossible to have mass appeal. Cedar Lewisohn – curator, writer and artist. He curated the exhibition Street Art (2008) at Tate Modern and Rude Britannia (2010) at Tate Britain. He is an author of publications Street Art: The Graffiti Revolution (Tate 2010) and Abstract Graffiti (Merrell, 2011). His most recent project includes „The Canals Project. Street Art on the Waterways” in east London. The Canals Project. 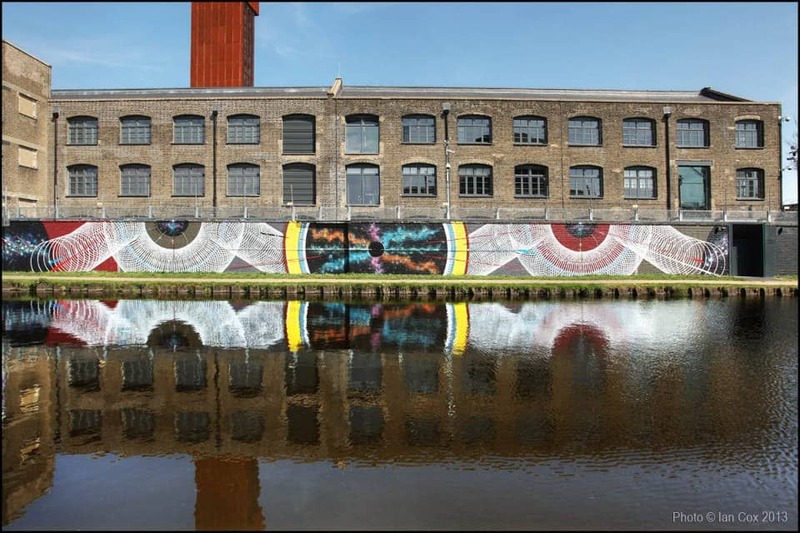 Street Art on the Waterways – is a series of curated art commissions for east London’s canal system. Through mixing work with international and local artists, the projects aim to create dialogues and opportunities which will continue long after the project has formally finished. 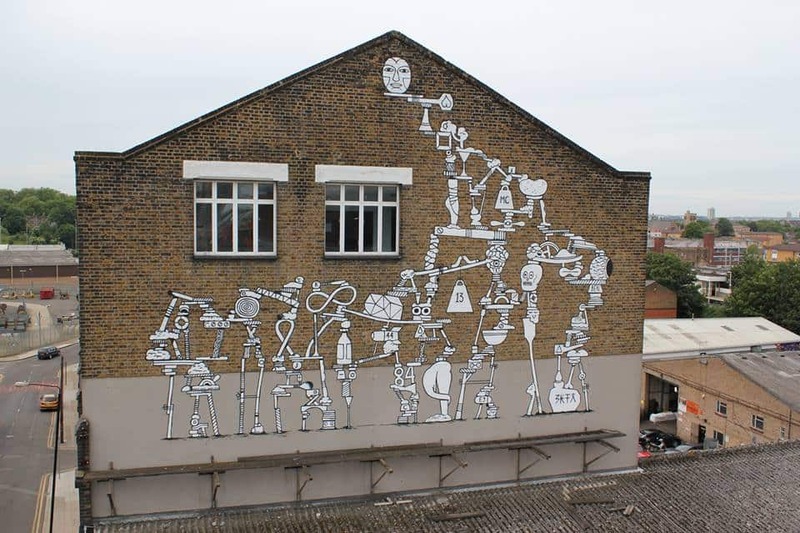 The canals of east London are an ideal location for presenting cutting edge street art. There is already a strong tradition of works appearing in these various locations along the canal. The Canals Project was commissioned by The Legacy List.